Infill Redevelopment Opportunity. 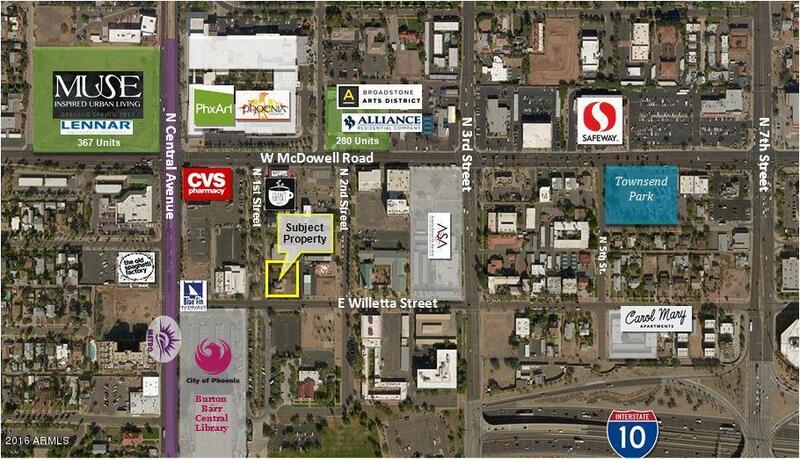 148' of frontage on N 1st Street and 141' on E Willetta Street. Walking distance to the light-rail. Numerous new projects recently completed and in the works near the property such as Proxy 333, Found:RE hotel, Art Haus, Muse, En Hance Park, and more... Just south of E McDowell Rd & North of 1-10. Giant Coffee just north and Arizona School for the Arts located just east.